Tattoo shop owner Marty Webber diversifies his business portfolio by opening an auto repair shop with financing from Consumers. Marty Webber believes you should never pigeon-hole your business. 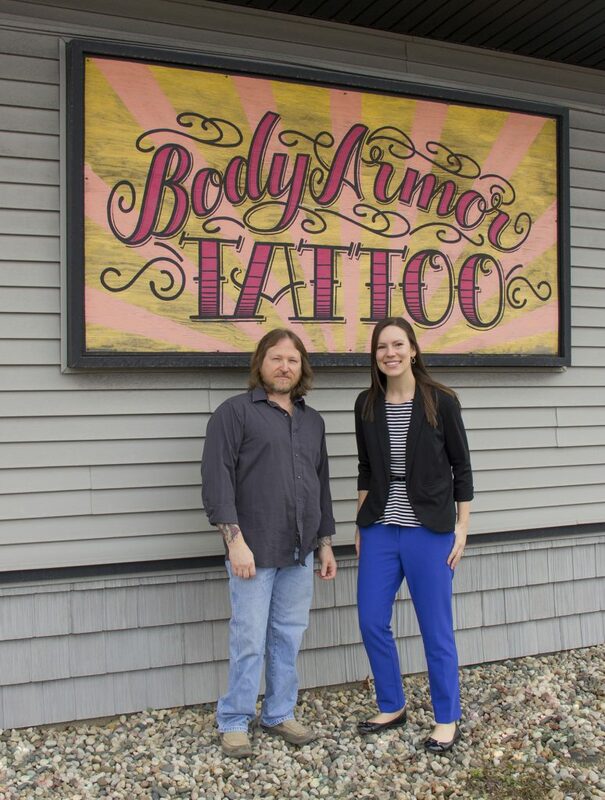 Marty and his business partner turned to Consumers to finance the purchase of the Body Armor Tattoo building back in 2015 after his former bank let him down. At Consumers, “everyone is very personable,” and Marty was able to get both answers and money quickly. Now, Consumers is financing the purchase of his auto shop building. “When I talked to Shannon [my business development manager], she was nothing but helpful. She made the loan process painless. Kristina [my lending officer] helped me get a home equity loan to make the down payment on the commercial loan,” Marty said. Part of the loan will be used to build a pole barn to expand the shop. In addition to financing his commercial buildings at Consumers, Marty has transferred his accounts for the two tattoo shops as well. Congratulations on your grand opening, W&W Autobody! We’re proud to have as a part of our Consumers family and our community. You can get the latest news about W&W Autobody from Art and Soul Tattoo and Body Armor Tattoo. View our video about Body Armor Tattoo here. If you want to bank with folks who care about your business as much as you do, call us at 800-991-2221. We’re here to help you grow!